Jagruti's Cooking Odyssey: Happy News ! By the Grace of God, Blessings from our parents , love, support and encouragement from friends and family, I have achieved something and I am very happy about it and I want to share this news with you all. My recipe has been chosen as a Bronze Medal Winner and published in issue 9 of UK's well known food magazine Take a Break My Favourite recipes. 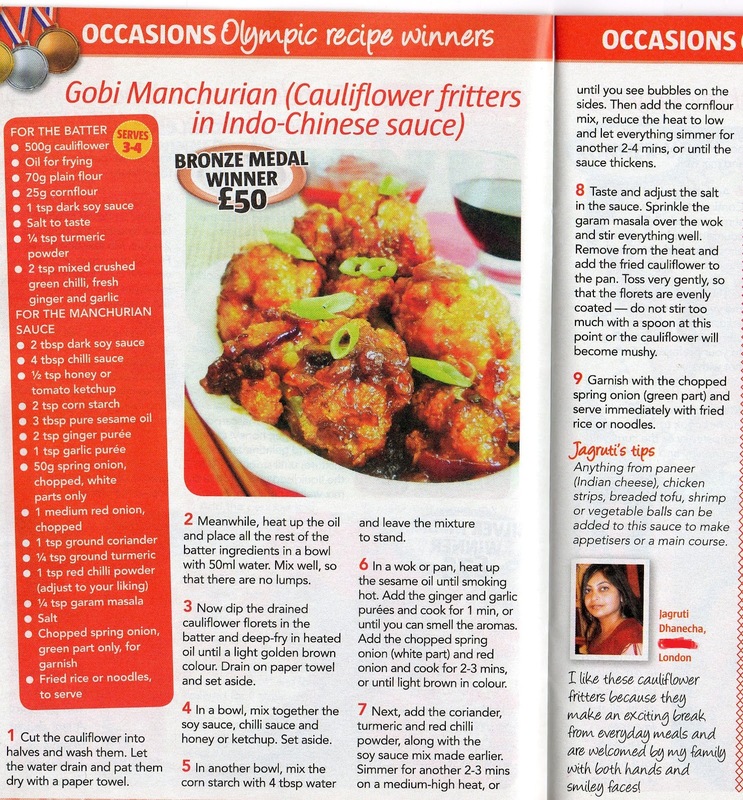 My Favourite Recipes magazine hosted a recipe Olympics and they asked to submit a recipe from any country which are taking part in the Olympic games in London 2012. I chose and sent my entry from Indo-Chinese cuisine and here I am with a Bronze Medal !! 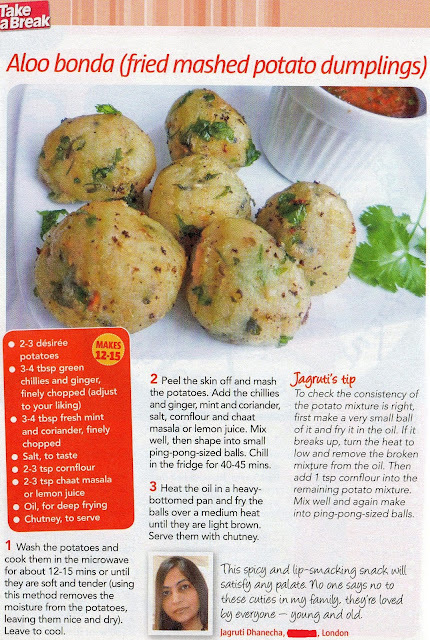 And it doesn't end there as there is another piece of news that I would like to share with you - also in the 9th issue, one more of my recipes has been published - Aloo Bonda. I really appreciated your time and effort for when you voted for my recipe Tandoori Paneer Tikka last month. Even though I did not win the full competition, I would be grateful if once again you can spare a minute to vote for my recipe. Congrats Jagruthi on ur achievement.U truly deserve it and just keep rocking. Congrats Jagruti on your feat. Excellent to hear about the bronze medal.